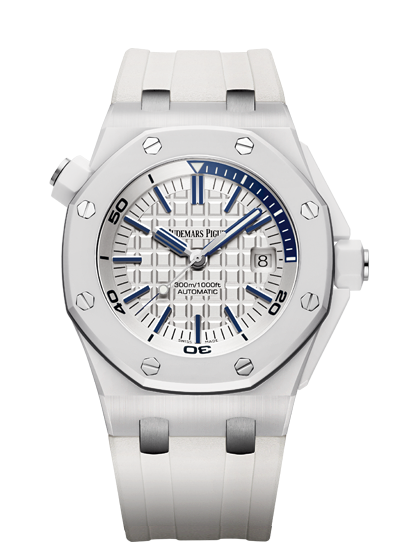 The Audemars Piguet Royal Oak Diver has already been introduced in various material, from ceramic to forged carbon, this year they decided just to add some new colors. 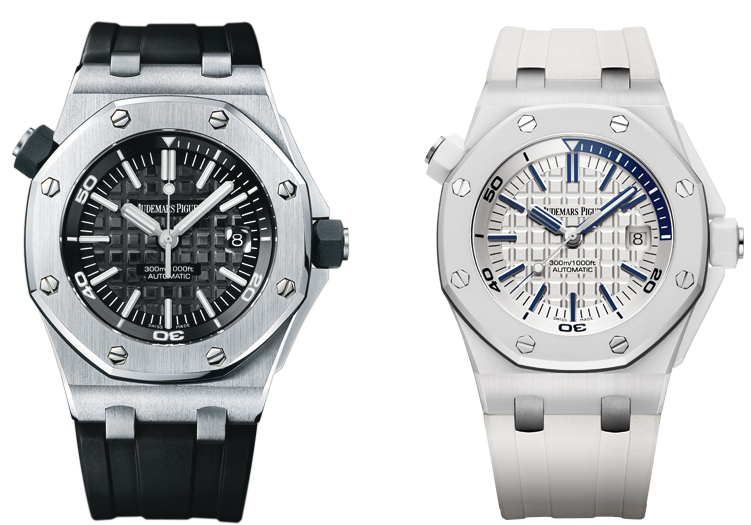 For many this is the ultimate luxury diver watch. And the new ref. 15710ST comes with an open caseback for a clear view of the movement, without sacrificing its water resistance depth, which can reach 300m (984 feet). 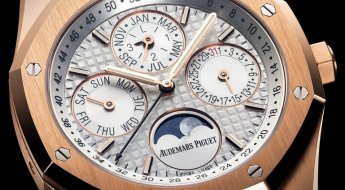 The dial on this watch has a beautifully subtle look, designated as a “Mega Tapisserie” which is a pattern of large squares, obtained thru a hand guilloche that can be had in a white or black version. It manages to pull off a glossy look and the polished white gold applied hour indexes match perfectly with the polished white gold hands. 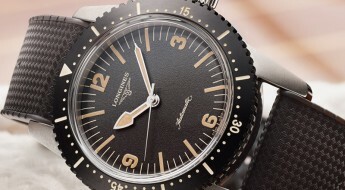 Legibility is very clear on this watch and the hands and hour indexes are luminous, emitting a greenish glow. The Royal Oak Diver features a 60-minute scale, with the first 15 minutes highlighted in black to contrast with the rest of the dial. There’s also an aperture for the date in the 3 o’clock position. 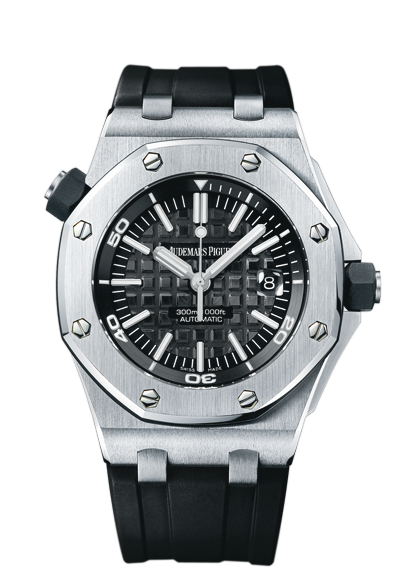 As size goes the Audemars Piguet Royal Oak Diver maintains its 42mm case in vertically brushed stainless steel. But, the thickness of the watch combined with its protruding strap design give the timepiece a bigger feel on the wrist. The screw-down crowns have rubber inserts that match well with the matte black strap, which comes on a spring bar stainless steel tang buckle. Another nice fix was adding the antireflective coating on the inside of the sapphire crystal instead of the outside. 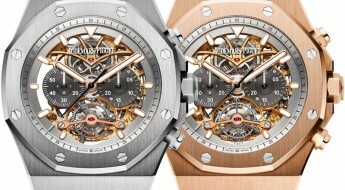 The watch is powered by Audemar Piguet’s in-house movement, caliber 3120, with 40 jewels, 280 parts and 60 hours of power reserve. 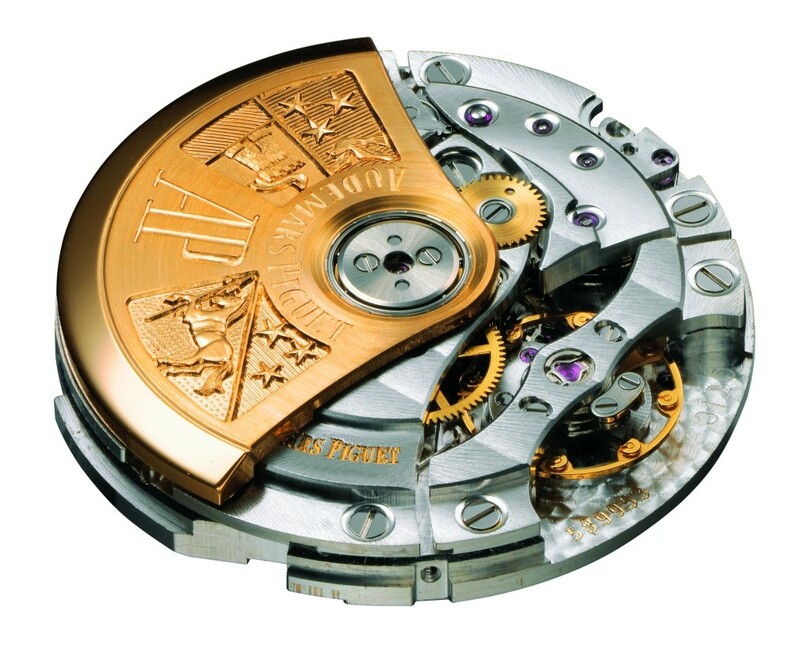 This automatic movement has a central gold rotor and is finished with polished beveled angles and Geneva stripes, as can be seen thru the caseback.